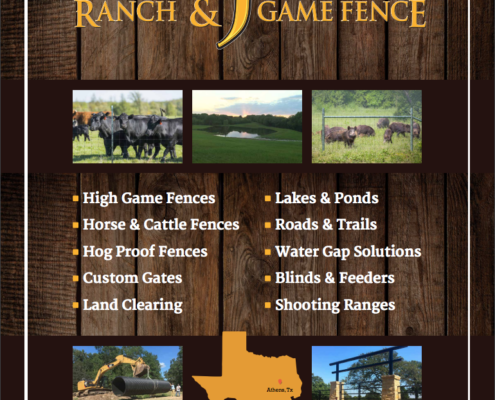 Tejas Ranch & Game Fence who specializes in high deer fences, but offers many additional services needed a sign for an upcoming Dallas Safari Club Wilder Game Supper to demonstrate all they do in photos and content. 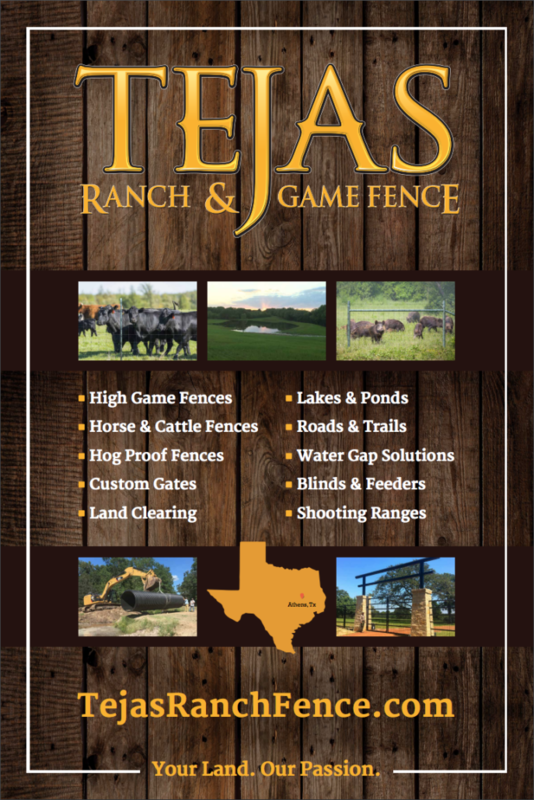 We were able to match their design patterns, include all of their services, and ultimately create an impactful sign for the marketing event. 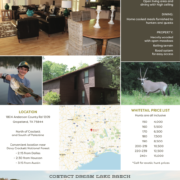 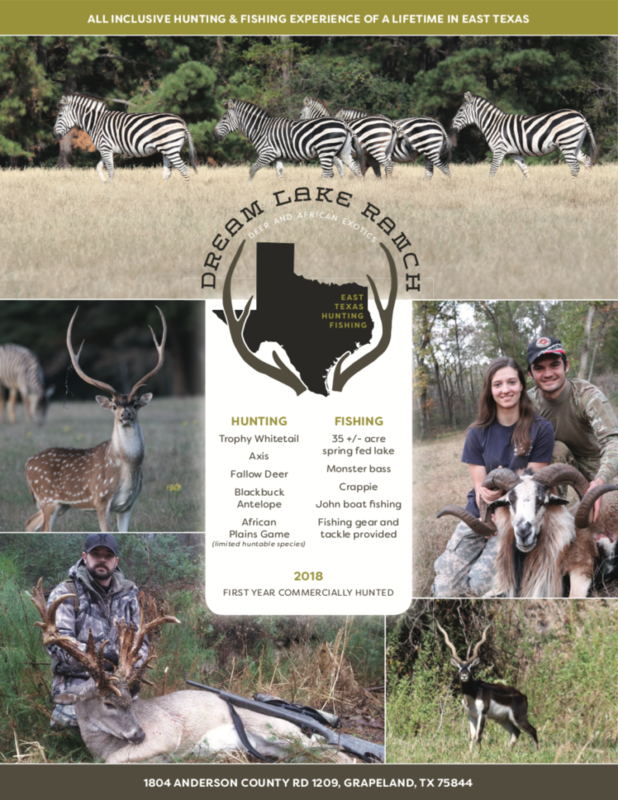 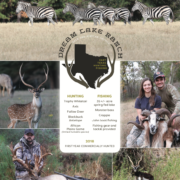 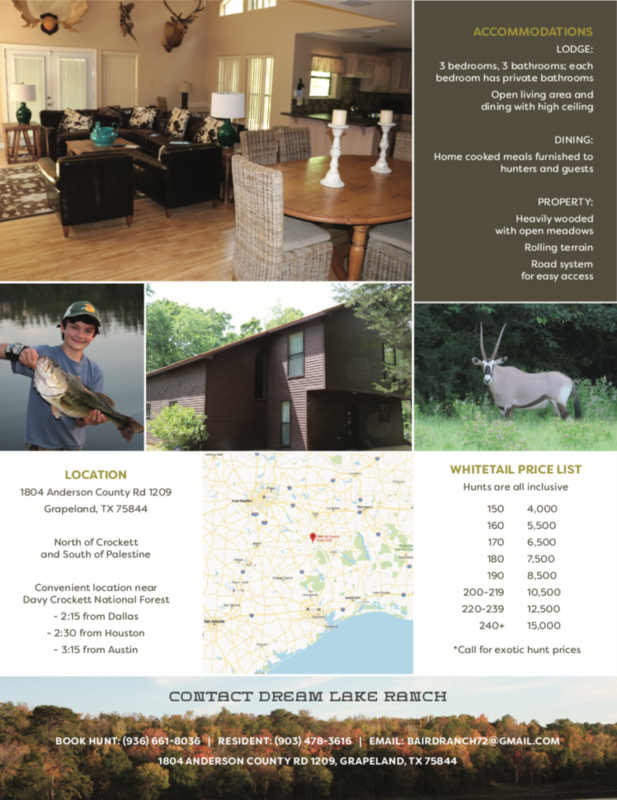 Dream Lake Ranch in East Texas knew that REALSTACK was the go-to team of marketers to begin the branding for their new exotics hunting lodge. 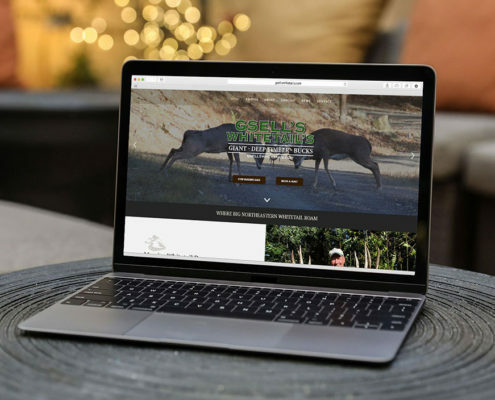 Our team of designers came up with the full design, layout, color palette, and most importantly the new logo for branding. 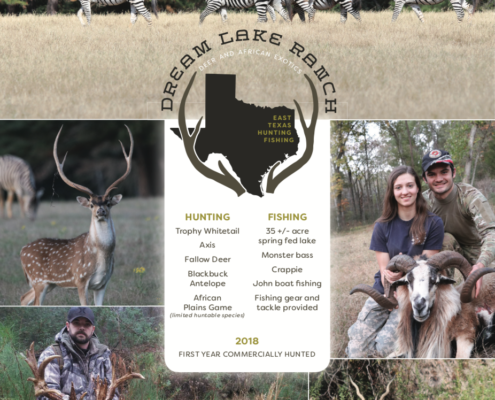 In addition, our copyrighters crafted the messaging and benefits of the products and services for a concise introduction to Dream Lake Ranch. 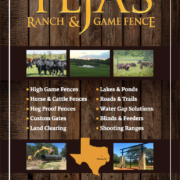 When land brokers look to spend marketing dollars toward print, they expect the highest level of design to stand out to their high net worth clients. 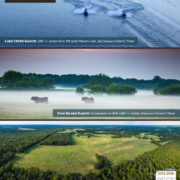 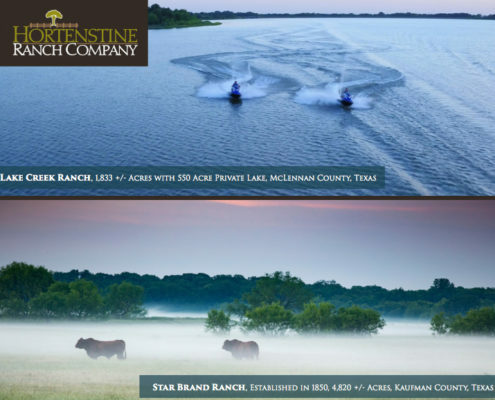 Hortenstine Ranch Company choses to use REALSTACK not only for all their digital marketing but also land broker print ads. 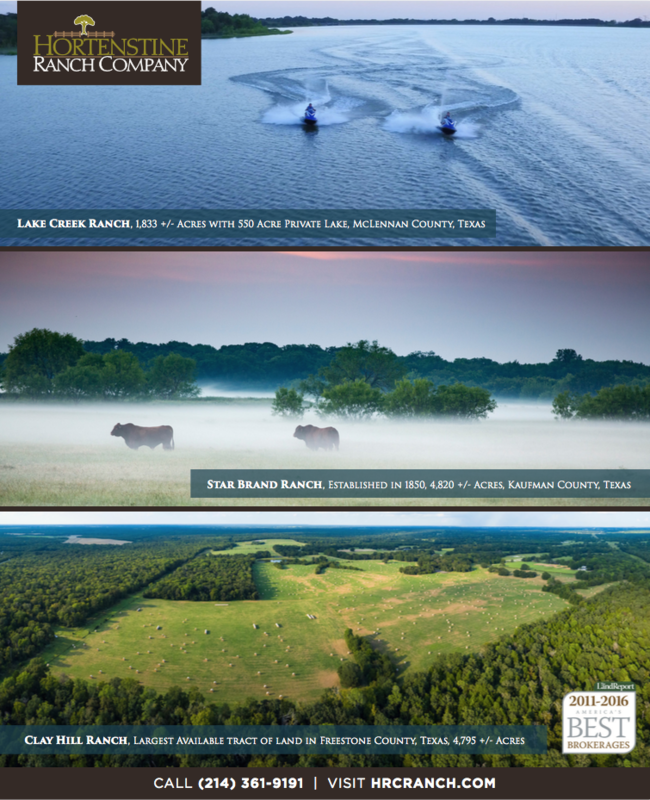 Print ads for land brokers have branding value in the marketplace for both buyers and sellers. 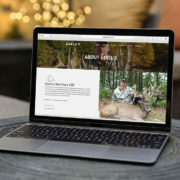 Offering top talent senior designers for Hortenstine has elevated their brand in a whole new way. 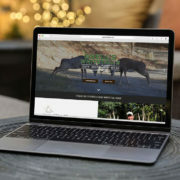 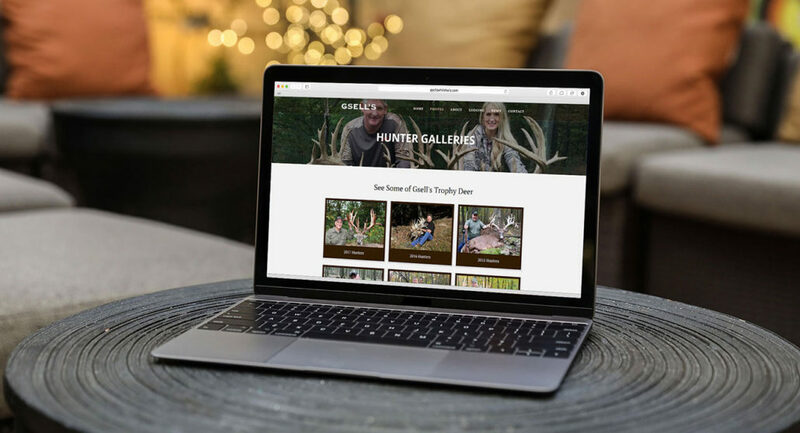 Even trophy whitetail hunting operations need a top performing website in today’s marketing environment. 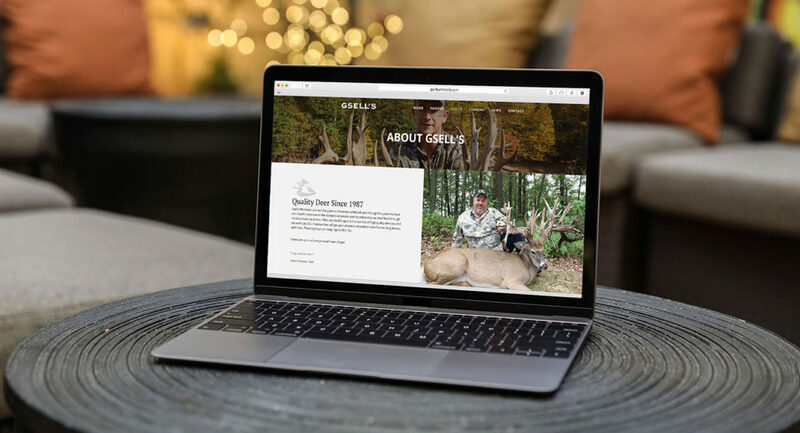 Gsell’s Whitetails out of Pennsylvania bolsters giant trophy whitetails, but need a full online makeover to better portray the imagery and stories of their hunts of a lifetime. 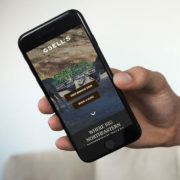 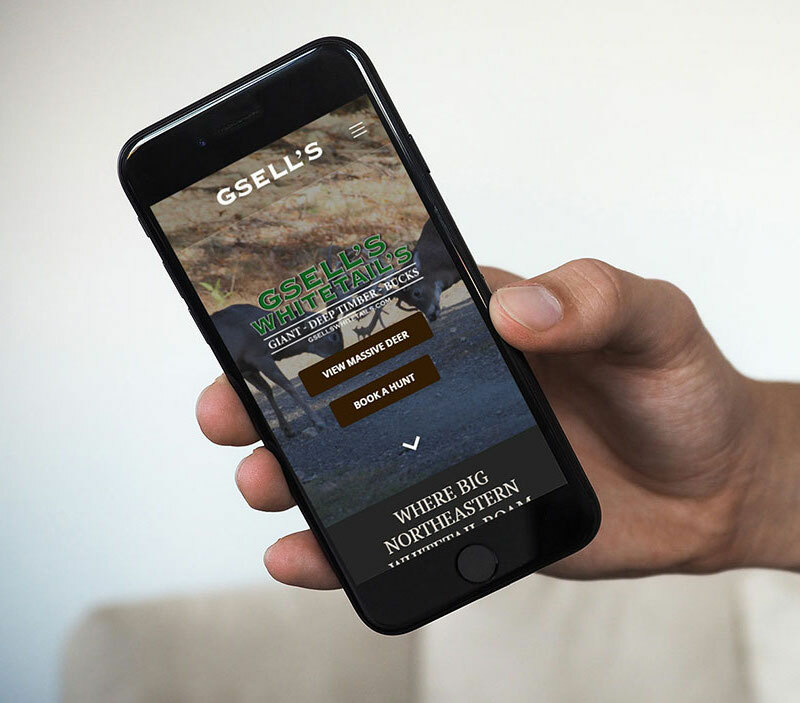 Gsell’s chose REALSTACK for their outdoor website design and digital marketing. 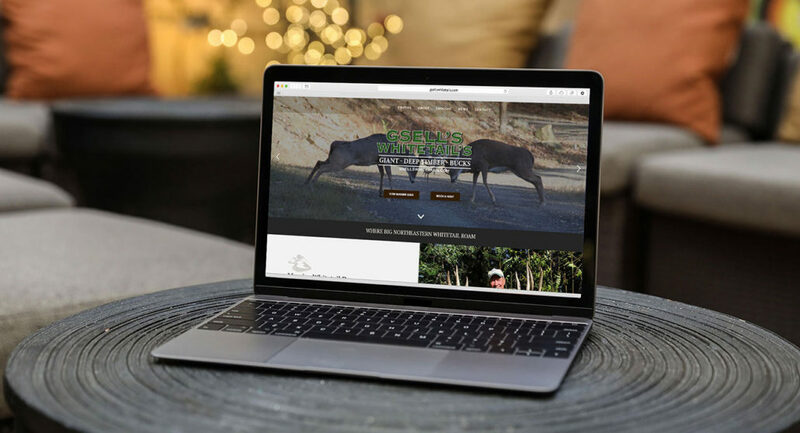 The website is fully mobile responsive, displays high resolution large photos, and offers an easy way to continually update hunting and deer photos from the property. 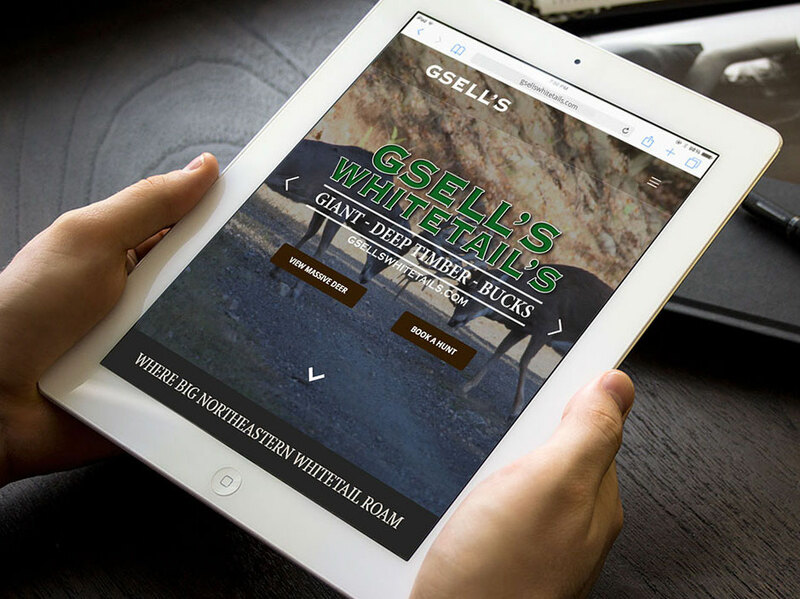 More importantly, the new website offers many opportunities for lead captures throughout the website.